Description: New genuine Acer tablet docking station upper case palmrest and keyboard. 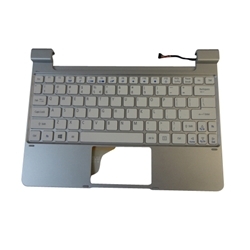 This upper case does not include the touchpad. *This is not the complete docking station. Acer Iconia Tab W510, W510P.